A record-low 5.3 percent of applicants were offered admission to Harvard College’s Class of 2019. A total of 1,013 students were greeted with congratulatory messages when they logged into their admissions portals at 5 p.m. Tuesday, joining the 977 students who were admitted to the class through the College’s restrictive early action program. Including the 4,292 students who were deferred from the early action applicant pool, the regular admission rate was 2.8 percent this year, also down from last year’s rate of 3.1 percent. Instead of sending admissions notifications via email, as in past years, the Admissions Office asked students to log in to an online portal to learn whether or not they had been admitted. Applicants also received emails indicating when their admissions decisions were available to view online. 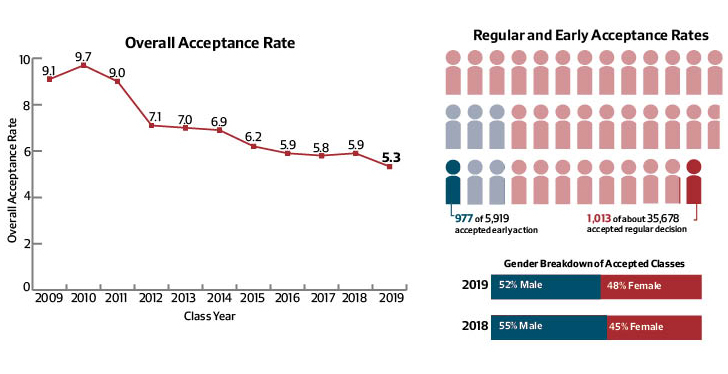 Fifty-two percent of admitted students are male, creating a slight gender imbalance in the incoming class that Dean of Admissions and Financial Aid William R. Fitzsimmons ’67 attributed to the fact that more men than women applied to the College this round. However, Fitzsimmons said, women were accepted at a slightly higher rate than men. Fifty-five percent of students admitted to the Class of 2018 last year were male. 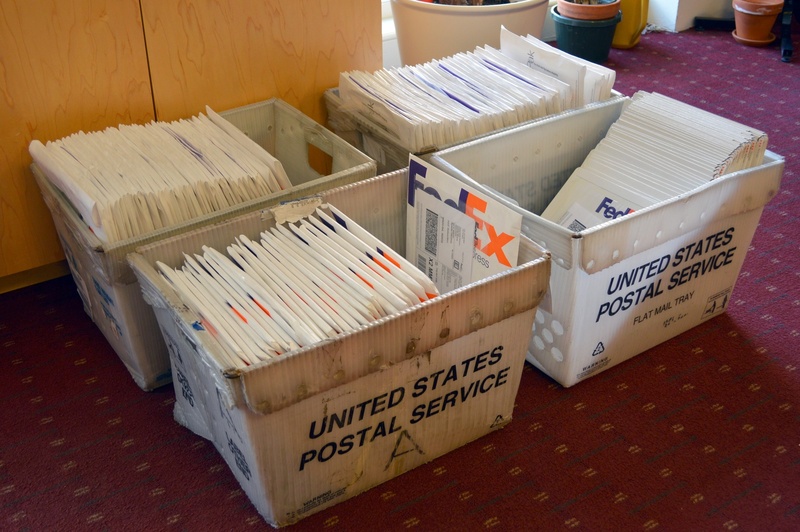 Acceptance letters for international students admitted to the Harvard Class of 2019 wait to be mailed Tuesday afternoon. Fitzsimmons said targeted outreach efforts to low-income and minority students may have helped attract a more diverse pool of applicants this year. 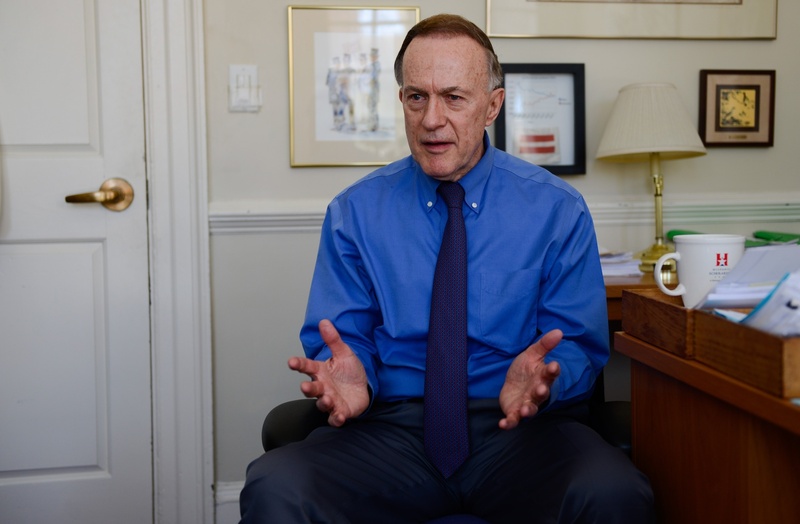 Sixty-two percent of all admitted students and 80 percent of admitted minority students—including 87 percent of Latinos and 86 percent of African-Americans—appeared on College Board and ACT search lists that Harvard uses to identify potentially qualified applicants from diverse backgrounds, according to Fitzsimmons. A greater proportion of admitted students indicated that they intend to concentrate in the social sciences and humanities while at Harvard than their counterparts last year, at 26 percent and 15 percent this year, respectively. Six percent of admitted students cited Computer Science as their intended concentration. The Admissions Office staff celebrated the Class of 2019 with pancakes, French toast, and champagne after mailing boxes of acceptance letters on Tuesday. Visitas—Harvard’s spring visiting weekend for accepted students—is scheduled for April 25-27, and Harvard anticipates that 1,200 or more students will attend, according to a press release. Admitted students have until May 1 to accept their offers of admission. The seven other Ivy League schools also released their admissions decisions on Tuesday. Yale’s admissions rate rose to 6.5 percent this year, and Cornell’s rose to 14.9 percent. Columbia accepted 6.1 percent of applicants, while Princeton accepted 7 percent and Brown 8.5 percent, all decreases from last year. The University of Pennsylvania accepted 9.9 percent. Faculty of Arts and Sciences spokesperson Anna Cowenhoven attended The Crimson’s interview with Fitzsimmons. 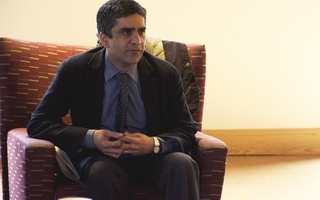 The interview and early access to admissions statistics were granted on the condition that The Crimson not publish them until late Tuesday night.